World leader in the production of quality fencing panels, Nuova Defim Orsogril offers robust modular systems combining design to reliability. Being the only European manufacturer offering both welded wire and grating fences, Nuova Defim grants to its customers the widest product range available in the market, enriched by a technological research unifying sturdiness and electronics in order to pass the current safety standards. Nuova Defim Orsogril fence systems are leaders of many industrial and architectural projects providing a high security factor and a perfect integration of the product in the landscape were they are installed. Safety, elegance, privacy, colours, appearances including old fashioned look, are only some characteristics of an offer that has recently included a new solutions in COR-TEN steel ideal for façade cladding louvered systems. Happy Easter. Surprise and let yourself be surprised. Our offices will be closed from April 20th to 22nd included. 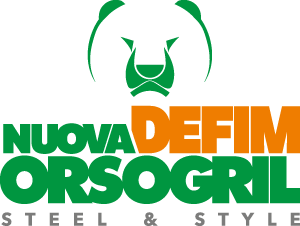 The Nuova Defim Orsogril Team wishes you a Happy Easter!